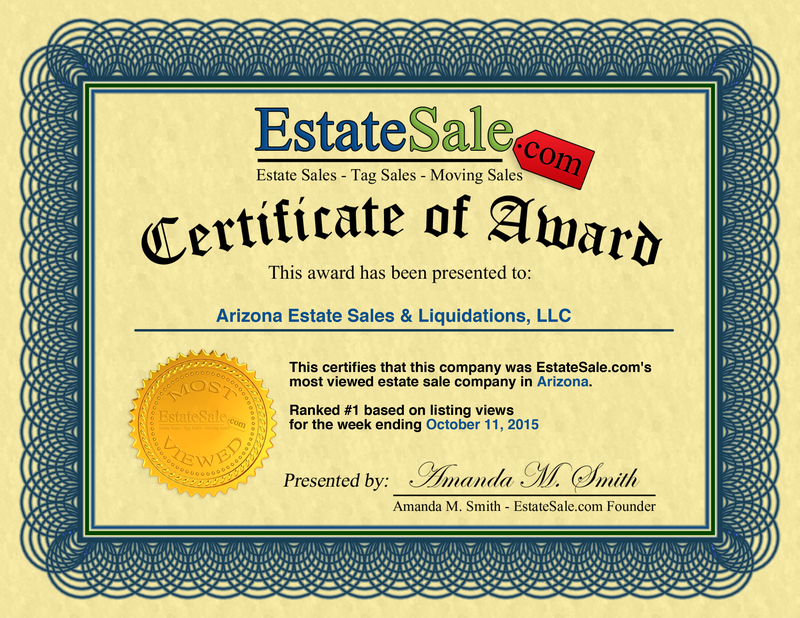 The reputation of Tucson's ARIZONA ESTATE SALES & LIQUIDATIONS, LLC is one of honesty, integrity, expertise, friendliness and successful sales. We are licensed by the state of Arizona as well as Tucson, Marana, and Oro Valley and our staff is bonded. We carry insurance up to one million dollars and are an accredited member of the Tucson BBB. Our professionally-operated Estate Sale is an open house for antique buyers and dealers, collector, interior designers and decorators, bargain hunters seeking treasures and casual shoppers out to view, touch and experience gently-used personal, home and/or office items for sale in a casual and friendly atmosphere. There is nothing to do on your part . . . except to relax and collect your money which is mailed within 10 business days after the sale. We employ various means of ensuring a successful event: creative staging and displays, experienced, knowledgeable and friendly staff, targeted advertising, directional signage on the day of the sale, notification lists and much more. Should there be any items left after the sale, they are sold to a “lot” buyer, excluding any higher end items such asfine jewelry, art, sterling, and certain pieces of furniture. Those items we continue selling through our Consignment department for 10 days after the sale (with some exceptions). *NOTE: Some estate sale companies require all remaining unsold items belong to them after a sale. 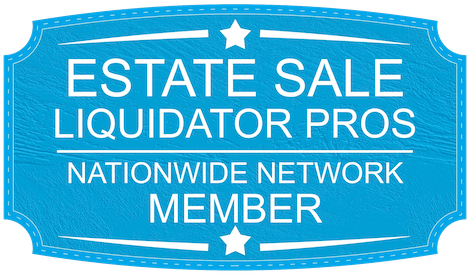 ARIZONA ESTATE SALES & LIQUIDATIONS, LLC never does this. If a company intends to keep unsold items, what is their incentive to sell and get you the most attainable for your treasures? After the sale, the premises will be cleaned of all debris, vacuumed, garbage disposed of and property secured. WHAT WILL IT CO$T ME? *NOTE: Never give any money in advance to an estate sale company as a “good faith gesture.” This is not the way a legitimate Estate Sale company works. Make sure they are licensed by your state/city, are bonded, insured and preferably a member with an A or A+ rating with your local Better Business Bureau. Don’t hesitate to ask to see a copy of their current license, bond and insurance declaration page. If they refuse, don't hire them. Copyright © 2014-2019 Arizona Estate Sales & Liquidations, LLC. All rights reserved.